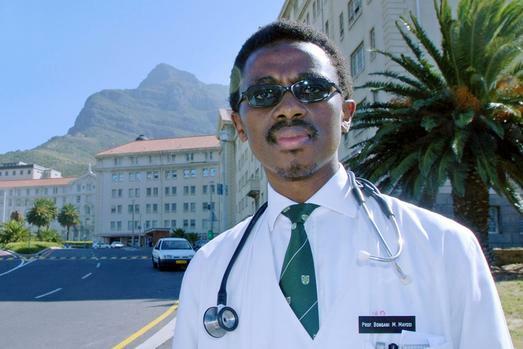 As we reflect on the suicide death of one of South Africa’s most prominent cardiologists, Prof Bongani Mayosi, due to a prolonged struggle with depression, I am compelled to add my voice to the growing concern over the medical profession and the stress that doctors and other health workers go through. But I am forced to broaden this further and talk about mental health in our society, not just Africa but globally, because the perceptions about mental health are more or less the same worldwide. Some societies have more support services and psychiatric help compared to Africa, but generally speaking, mental health has an air of stigma no matter where in the world you are. People with mental health problems are considered mad and weak. This is one reason why so few seek professional help, especially if they are considered well to do in society. I first shared my personal story about being depressed at the Second Managers’ Annual Conference in Lilongwe, Malawi, in July 2017 where I was invited to speak on corporate mental health. Little did the organisers know I had a very personal story to tell about it. I started my session by asking anyone who had ever had a mental illness to put their hands up. In a room of about 30 people only 2 or so raised their hands. On the next slide I put up was a list of mental health issues such as stress, anxiety, grief, depression, shame, panic, phobia and post-traumatic stress. After going through this list I asked the same question again and this time about three-quarters of the room raised their hands. This illustrated the simple fact that mental health is often misunderstood and when asked such a question many will think of “mad” people on the streets or the like. While these are extreme examples of mental illness there is a far more common and untackled problem in our society of people who try very much to appear okay mentally when deep down they are really battling huge challenges emotionally and mentally. At that presentation, I went on to share my own experience of depression. I will not go into a great deal of detail here as I have dedicated around eight pages on this in my book “Destiny on Purpose” in the chapter on potential and why it is important to maintain your physical health in order to utilise your fullest potential in life. The summary of it is that over the years, starting around 2009, though it could have been earlier, my health gradually deteriorated. I recall having a breakout of warts on my face and sleeping with garlic taped to them every night for a while to get rid of them. It worked, but the smell of garlic in bed is not a pleasant one, trust me. Then I developed hives which refused to go away for many months. I would just suddenly break out in a very itchy red rash on my arms or chest, especially after applying pressure on them. Within an hour or so it would disappear as if nothing had happened. It got so bad that I could trace my name on my arm and the rash would appear in the form of my name. Later, I had severe headaches that I could not figure out. Nothing seemed to help. My gums also started receding, exposing my teeth beyond the gum line. I could hardly eat and was losing the little weight I had. Many trips to the dentist did not yield much help other than having to gargle the most noxious substances several times a day. I later figured out that the real cause of the gum recession and headaches was severe sinusitis, which I had missed somehow after initially developing a flu that I thought had healed but had actually progressed. With all the confusing symptoms it took a while to get to the bottom of it, but finally an ear, nose and throat specialist helped me through it. But the hives persisted and little did I know that the worst was yet to come. One night I was awoken by a sharp pain in my right foot. The next day it subsided but I noticed that my foot felt a little numb. About a week later it happened again, but this time the pain did not go away. 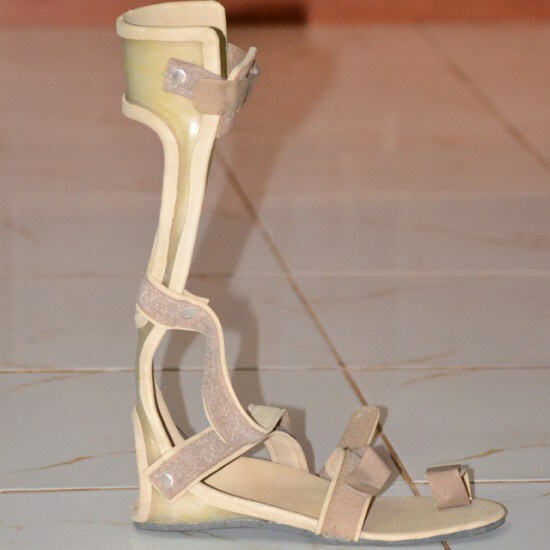 The next few months I was helpless as the pain got worse and the numbness spread up my leg. Worse still, about two weeks after it began I lost control of the muscles in my right leg and was slowly losing control of muscles in my thigh and right buttock too. and wished it was day. I forgot what sleep felt like for the excruciating pain. It felt like having your foot in a furnace and a tight crushing vice all at the same time. My legs were also swelling. No amount of mediation seemed to help the pain. In this whole experience with my nerve problem I really felt let down by the medical system. At home in Zambia I had tried several hospitals, including the one I once worked at, the University Teaching Hospital. I remember walking those same corridors I had walked so many times, but now as a patient in crutches and in pain, limping and alone. Due to lack of sensation in my leg I even failed to notice that I had long lost my slipper and was walking around bare on my right foot. In all these places I saw several doctors, people that I thought were the best to be able to handle my situation. But it felt like they were too busy. I was just another patient and no one could be bothered to take on my case personally and investigate beyond the usual conditions they encountered daily. The fact that I was a doctor did not matter. In fact it seemed to be a hindrance as it was like everyone I saw somehow feared to treat a fellow doctor. No one wanted to commit to either take me on fully as a patient or to any particular treatment, including surgery, after the MRI showed what appeared to have been a slipped disc in my spine. I was desperate, but help was not forthcoming. After about three months of trying locally we decided to go to India. That was another frustrating experience as they were more interested in depleting the cash deposit we had made through a long hospital stay and what was one test after another without any progress on a diagnosis. I went through about four MRI scans, countless blood tests, nerve conduction studies and you name it. No diagnosis. No treated after all that. They were also weary of starting any treatment without a definite diagnosis, obviously fearing litigation if anything went wrong. Profit over proper care was the impression I got and I made it clear to them that they were wasting time and should go with their best guess after all those tests. While in India was also the darkest time of my life. I lost all hope. I was ready to give up and just die. Mentally I was exhausted, having not slept well in months. Emotionally I felt dead. Being wheeled into theatre one day for a nerve biopsy, I remember wishing I would die on the operating table. I did not care anymore. That seemed like the easiest way out. I was tired. On returning from India, I decided to take matters into my own hands. I felt the system had failed me immensely. I put myself on steroids, figuring that whatever was happening, judging from all the test results, was probably an autoimmune condition. It worked. Over several weeks the pain subsided. I slowly started regaining strength in my muscles. Some self-prescribed physiotherapy and about a year later I could walk normally and you could never tell I went through all that. Though some sensation is still lost, I am otherwise fine. The fact that I regularly go to gym now is partly a celebration of my recovery and the fact that I can use all my limbs again. On reflection in that year of recovery, I realised that all the medical problems I had experienced, leading up to my paralysis, were as a result of being depressed for a long time. The fact that as a doctor I missed that for so long goes to show how low on our radar it all is. It is also something that many of us do not believe that depression can affect our mental health as well as our physical health. But that is exactly what happened to me. The depression had gone on for so long that it affected my immune system and led to all those physical problems. I did not recognise it on time and had not done anything about it until it was too late. But I am grateful for the whole experience. It taught me a lot. It helped me to realise that depression was very real and it was not something to be taken lightly. But, most of all, it taught me to be empathetic to those going through it. It helped me to be able to help others. Over the years since that experience, I have come across many people that have been faced with depression at some point in their lives. Somehow it seems that I meet people that need help and someone to listen to them and advise them on what to do. Often they do not even know they are depressed until I point it out. At the managers’ conference after my talk many people opened up and talked about how they had gone through similar things and were only then recognising that it had been depression. That is how undiagnosed this problem is. Many people never even bother to seek help either because they do not understand what they are going through or if they do then they are ashamed to get help for fear of how their family and friends would react and treat them. I shared a number of myths about mental health at that conference, but I will emphasise a few here because I find that with everyone I meet who needs help these are the most common. The first is the myth that only people of weak character get depressed while strong people simply handle whatever life throws at them. This is absurd and is one of the things that leads to a lot of stigma about mental health and depression. My experience has often been the opposite. The majority of people I have encountered who have been depressed, including myself, are extremely independent and driven people. Therein lies the problem. For a time they can compensate and deal with life’s pressures and stresses very well, often relying on no one but themselves and often helping countless other people with their life challenges. But usually they have no one else to depend on when they are in trouble themselves. With time, their mental and physical reserves to cope are depleted, until one day, some adverse event leads them to get stuck, unable to do anything and in that hole that is so hard to get out of, especially alone. Many never seek help and many never get out of that hole. Which leads to the second myth, that when you are in that depressed state you can simply think positively and get yourself out of the hole. Depression, like other mental illnesses, is a product of the interaction of biological, psychological, and social factors. Many times these biological and physiological factors are beyond our mental ability to control or change. When helping others in this situation I often ask them if they feel it would be reasonable to tell someone with malaria to just be strong, think positively and they will get better. That is crazy. You know that will result in death. Yet that is what we expect people with depression to do – “just think of all the positive things in your life and what is going right, focus on the bright side”. Such advice is dangerous because the person going through that feels less empowered by their inability to control how they feel and they get frustrated that they are not understood by those around them, who cannot see what the big deal is. That is exactly the rhetoric we are getting now about the late Prof Mayosi – how could a man who has achieved so much be depressed; how can such an icon not see all the positive things in his life? But when you are in that state you cannot think yourself out of it. It becomes necessary to take antidepressants. That is one thing many people who are depressed do not want to face. I tell them it is like that malaria, without medication to get you out of that hole you will be stuck there and die. You need the medication to get you out of the hole. When you are depressed your brain chemistry is altered. There is little you can do mentally to get that brain chemistry right. You need antidepressants. Then, once your brain chemistry is fixed, once you are out of that hole, you can take measures to clean yourself up and help yourself so that you improve your life and do not get back into that hole. I have become so attuned to recognising my mental state after my experience that I am now able to tell when I risk sliding back into depression. 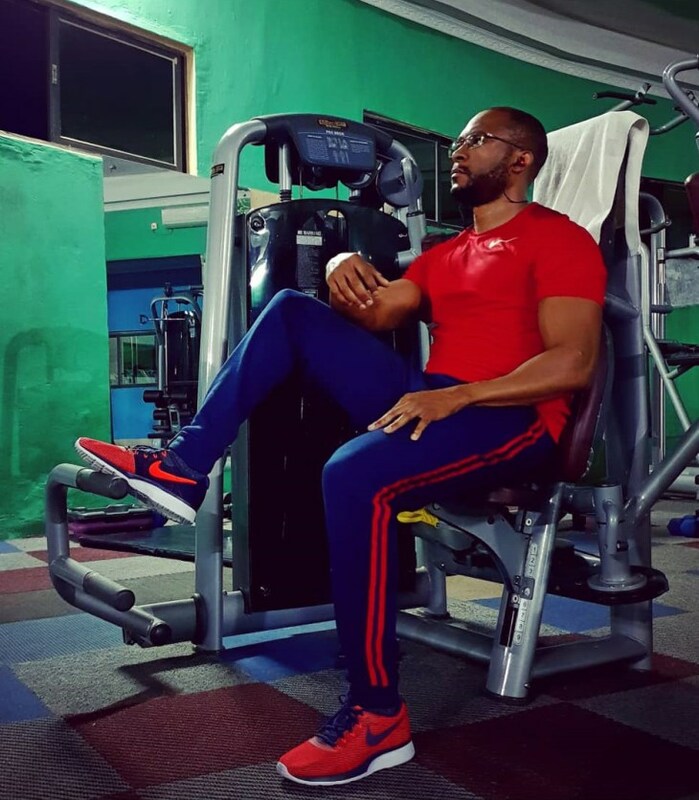 I know when it is enough for me to do things like reduce my stress level, exercise, sleep better, relax and so on to prevent it from happening. But I also know when it becomes beyond my power and I am in that hole and need to take an antidepressant to get me out of the slump. Fortunately, such times are very far apart now and lifestyle adjustments have worked well. But, this requires that you acknowledge the problem and begin to understand your own dynamics in terms of what drives you in that direction and how you feel when you are headed for it. The last myth is that depression is a lifelong condition. For some it is and for others it is not. Some people recover from it fully and never experience it again. Others have episodes. In very few cases can nothing at all be done about it. Most times, it can be handled with the right help and being open about it, especially being willing to seek help. I wonder now, if Prof Mayosi had done so. Perhaps we shall never know. It is sad when someone dies from something that can be helped. It is even sadder when the person is a health care provider, who should have had the help they needed. But it need not get to that stage. If you feel you could be depressed, seek help. Talk to someone trustworthy. Open up about how you feel and where you are emotionally and mentally. Do not pretend. You can only do so for so long before you cannot anymore and the symptoms start to show. Seek professional help from a trained health care provider. If you know someone who you think might be depressed, talk to them. Do not lecture them. Just create an atmosphere where they feel free to talk to you and express themselves. Sometimes a listening ear is a great start. Do not judge. Do not offer solutions. Do not make the affected person feel like their challenges are nothing. Do not compare their struggle to yours. Listen. Advise them to get professional help from someone with counselling skills or a psychiatrist. Be there for them. Show them you care. Follow them up on how things are going with the professional help. We can all change our attitudes about depression and ensure that we never have another situation like that of Prof Mayosi happen again. Really sad but eye opening. This article must be saved and refer to it in times of need. A weaker person would have committed suicide. Awe ba Ndanje Khakis, the writer makes emphasis that it is not about being weak as that is exactly the issue of stigma! It sounds like Witchcraft to me! Weak in the sense that once stigmatized you lose all senses that’s what I mean. Great article, having worked for the NHS for 21 years in mental health services, it has been a privelege both for my personal development and outlook of life in general. I have seen a lot of suffering. I currently work for The Early Intervention in Psychosis Team and mental illness is underestimated in our culture in general . We need to understand mental illness and appreciate life and our beloved ones. It is true that sometimes the Doctors let each other down. A Doctor, Costa Tembo died after his fellow Doctors and the Nurses went on strike while in the Intensive Care Unit where he was on treatment for poisoning. While on strike that fateful day, the drip got finished while the machine kept on reducing the blood levels in Costa’s body and hence his death due to dehydration. Costa was a Doctor in charge of Mumbwa area until his death. So much was said at the burial ceremony but did not help the mother much. When did you last check on HH’s mental status? And Larry Mweetwa? And BoSipakata? You just had to bring this up Sharon! Anyway, a great article Dr. Simuyemba. I wish you could come up with an ongoing initiative to raise public awareness regarding this stealthy killer, depression! Moses, thanks for sharing your story. Very informative. Great Write up on mental health. One glaring omission is the role the extended family played in forestalling mental break down in our traditional family set up. There was always an uncle or an aunt to talk one through trying times. We have gone nuclear and have to carry out own crosses. I also recall how some funny relative would arrive from the village for what appeared a meaningless visit. Unbeknown to us, he was there to counsel the parents through some marital tribulation. These days one only has to reach out for his Baretta or Magnum or colt to sort the problem once and for all. Dr Moses Simuyemba thank you for sharing very educative article on depression and mental health. Very useful guide and counsel.